Loving myself first begins daily in the morning with gratitude at the realization that I was given another day to fulfill my purpose. That means thanking God for breath in my lungs to authentically live on purpose. Recognizing that I am fearfully and wonderfully made gives me the liberty to love myself as I am and as I evolve. My daily walks in nature are a part of my exercise routine for self love. It provides an opportunity without distraction to examine my life and the things in my environment. I make this a priority before I start my routines. It provides so much clarity to sort out tasks for the day, too. My mind is at its most open state on my walks, and that allows me to take in all the positive things I see in nature while on the Metro Park trail. It inspires me to give this positive energy to others. Entering my 40s has been a motivating factor to make conscious decisions about healthy eating. Living consciously has really allowed me to see and feel the benefits of healthy eating. Whole foods that have grown from the soil have been my saving grace when it comes to self love. It has provided me with a clear mind, less aches and pains, more energy, and weight management as a bonus. The biggest obstacle I have overcome is not believing I am enough. There was a time that I would nitpick myself to the point of stifling enjoying what life had in store for me. In my late 20s I discovered the book One Day My Soul Just Opened Up by Iyanla Vanzant. The book required writing daily to some tough questions I had to be honest about and accountable for. My soul did open up, and I began living and loving myself. It pushed me not only to love myself but also make changes to become and grow in the direction of my best self. There were a few bumps in the road but that was acceptable because I was growing and evolving. I’m in competition with myself to become my best self. I’m my best self when I take care of myself first which, in turn, makes me available for others. This is the most positive selfish thing I can do. I’ve learned to nurture self-love with positive people, music, news, books and experiences. Self-love has taught me that it’s okay to fail. Self-love has taught me to say yes more and to say no without regret. The biggest lesson for me is that it’s powerful to love others. Truly loving others is a reflection of the love you have for self. Categories: Love Yourself First! 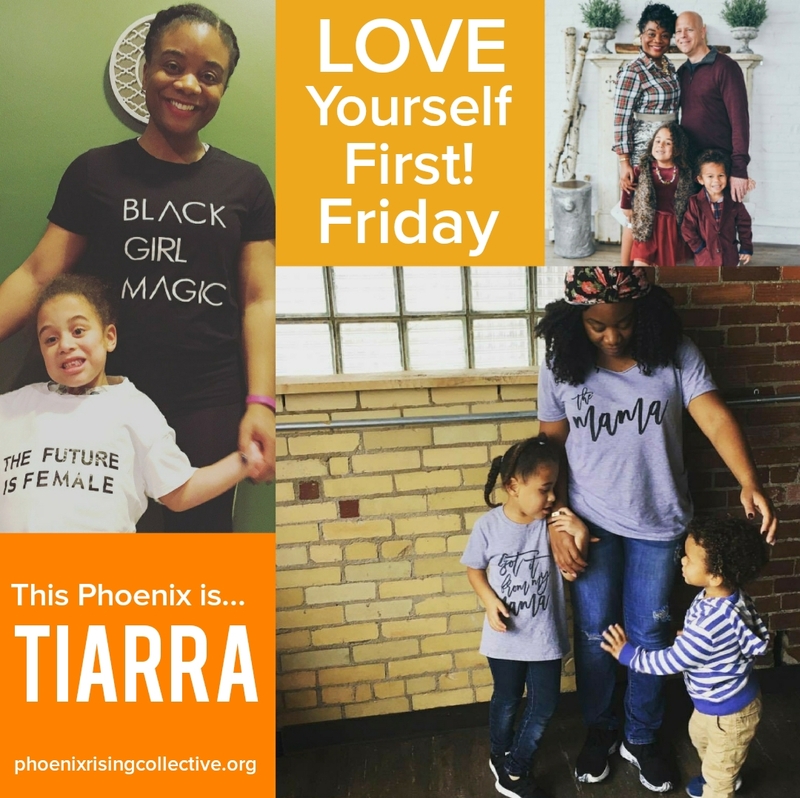 Friday | Tags: Love Yourself First! 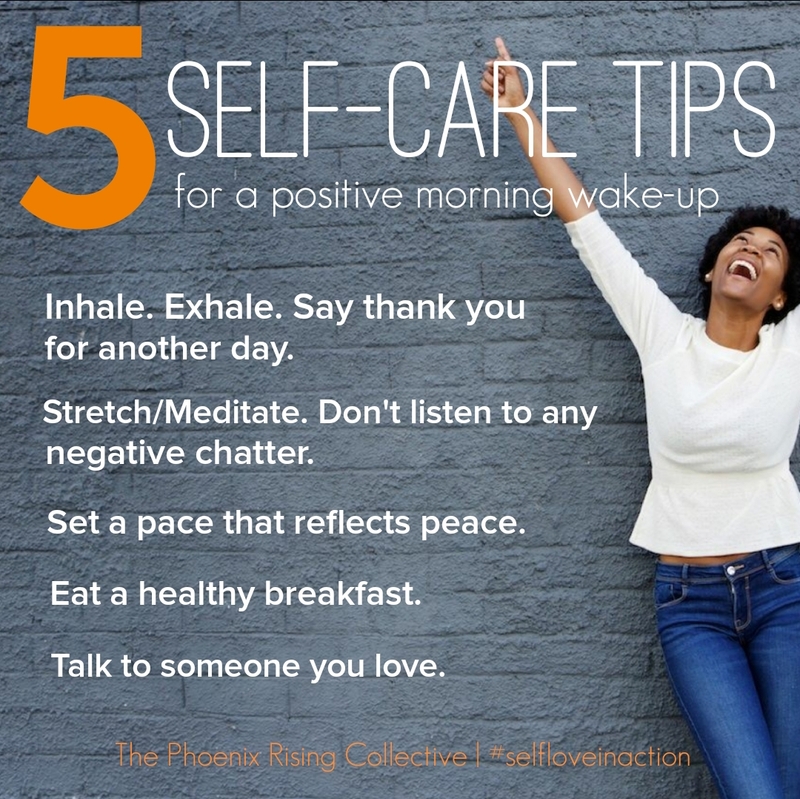 Friday, self-acceptance, self-care, self-care tips, self-compassion, self-confidence, self-love, the phoenix rising collective, women's wellness | Permalink. I’m so excited to share this with you! This has been a great summer so far, and it’s only getting better, especially since this month I’m launching I Thrive Self-Care Sunday Meetups for Women. I Thrive is for the woman who is ready to put herself first, understanding that she must give herself love, care, support and healing before she can capably, successfully and completely give it to others. It’s an affirmation, and a commitment to apply practical self-care regimens that motivate women to make themselves a priority. Meetups will be held the last Sunday of each month, 12pm – 3pm. Registration is only $12 and will include interactive wellness activities and demonstrations, resources, and tips and how-to’s that focus on whole living practices like mindfulness, yoga, personal affirmations, clean eating, meal prep, journaling, goal-setting, time management and so much more. On occasion there will be guest speakers at meetups who will share their expertise on the topic of the month. So, Phoenixes in Columbus, OH join me July 30 for the kick-off of I Thrive. Receive encouragement and guidance that helps your daily practice. Be in a sacred space that honors vulnerability, and provides preparation and rejuvenation for the upcoming week. Life is all about balance, and to maintain balance we must be intentional about giving ourselves what we need to have it. Let’s build an “I Thrive Tribe” who enjoys the process and celebrates our progress. Register for July 30 HERE. 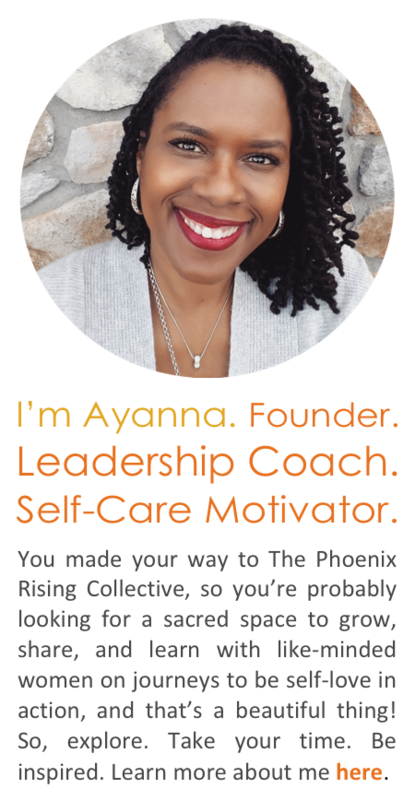 Categories: Self-Care + Personal Growth | Tags: healthy well-being, self-care, self-care tips, self-care workshops, self-love, the phoenix rising collective, women's health, women's wellness | Permalink.